You may be counting the days till Diwali. Till the festivities begin. Till diyas and rangoli brighten your house. And you spend evenings with friends and family lighting crackers. While you do so, we ask you to spare a thought for the less fortunate. For those who live all their lives in darkness. And have no idea when they’ll ever see light. This Diwali help us do something special for children studying at our support centres and bring a smile on their faces. More than 300 children are studying at our Gyaan Centres who come from the less privileged background. We assure you that by helping the less fortunate one’s you’ll feel more special. Celebrate Diwali this year by brightening a life. There’s no better gift than this. Aahvan Ek Pehal also known as AEP is a Non-Governmental Organization, started in the year 2014.AEP is a self-funded NGO and work towards the welfare of women and children and the ones who are differently abled. It is an effort to bring about some change in the society by providing adequate education and training with a platform to excel. Workshops and recreational activities for differently abled. In India even after completing four years of school, 90% of children from poorer households remain illiterate. Education is one of the most important drivers of India’s social and economic development. Higher levels of literacy lead to greater economic output, higher employment levels, better health, awareness, better social structures and higher standard of living. We at AEP believe that education is the key to overcoming poverty in a single generation. And the same is fundamental in creating a future with human security, community development and progress of the nation. 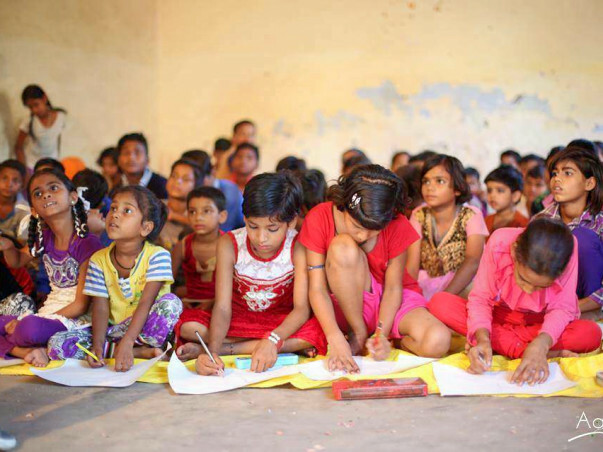 Project Gyaan focuses on imparting value based education to the underprivileged with focus on girl child education. We create an academic support classroom in their vicinity and provide them with quality education. The teaching pattern focuses on activity based learning which includes the use of phonics and Jodo gyaan.We conduct grooming sessions in various government schools. Counseling sessions are an integral part of Project Gyaan. 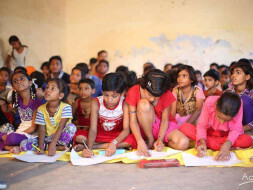 The objective of our project is creating educated and skilled resources out of the underprivileged children and making them capable to get involved in mainstream development. We aim to educate the disadvantaged children from every nook and corner of the country so that they can work for the betterment of the society and break the vicious cycle of poverty. Education is a continuous life process. It is never ending and does not account for age. Life is a learning process and you learn at each step of your life. Education does not come with an age barrier. India is poised to emerge as one of the most developed nations by 2020, more literate, knowledgeable and economically at the forefront. Women play a crucial role in the economic-growth of the country. Women constitute of almost half of the population of the world and still do not have access to all their rights. Education being one of the most important one.Little has been achieved in the area of women empowerment. AEP provides education and skill development training to women from the economically challenged background. It is our aim to educate women and make them aware of their rights and make them stand on their own feet.Project Unnati focuses on creating opportunities for women by providing with adequate training and knowledge to start up something of their own. We also provide them with a platform to showcase their talent.Waste material management is an integral part of this project. AEP runs awareness campaigns on various issues like child rights, sanitation and health, safety measures during accidents and epidemics etc. The concept is to make people aware of situations that they may face and how to deal with them in the hour of need. The focus is on educating the masses about various health hazards and the outcome of unclean environment. Diarrhea is one such problem which has killed several in our country .The root cause of diarrhea is dirty and putrid water and unhygienic living conditions .AEP makes an effort to tell people the problems that arise out of open defecation and use of dirty drinking water. We not only run awareness campaigns but also inform them with a solution to such problems. We try to come up with cost effective ways which can be implemented in low line areas and can be adopted easily by people below poverty line. This project aims on helping the differently abled. We host workshops which are designed specifically for these kids, keeping in mind their cognitive thinking pattern. We organize fun and interactive sessions, outdoor sports keeping in mind their abilities. Hand and Thumb Painting,Thread painting workshops for children with Autism, Cerebral Palsy, Down syndrome etc. We conduct recreational activities for the visually impaired .We also run awareness campaigns on various disabilities. Apart from workshops and awareness campaigns we also host dance and music competitions for such children to help them showcase their talent. We believe if a person is impaired in one way than, that person is filled with several other qualities. The purpose of such activities is to help them find their hidden talent and bring it to a level where it can reach the masses. We are raising funds to make this Diwali special for children studying at our Gyaan Centres.More than 300 children are enrolled with us.We request you to donate generously and make this Diwali a memorable one for our children. Have a happy & safe Diwali..May God bless you all..!